MDC Alliance Presidential candidate, Nelson Chamisa has urged President Emmerson Mnangagwa and his government to stop tormenting former president Robert Mugabe saying he deserves respect as a founding father of the first Republic of Zimbabwe regardless of his shortcomings. Addressing thousands of his party supporters at Rudhaka stadium in Marondera yesterday, Chamisa implored President Mnangagwa to stop harassing Mugabe saying he despises politics of retribution. “The father whom you traveled with for 56 years, Mnangagwa you being the personal assistant, you remove him from power unceremoniously and condemned him, yes we were happy for him to go because we also wanted him to go, but when he has rested stop stressing him, why are you tormenting him leave him alone then we move forward with our country,” said Chamisa. 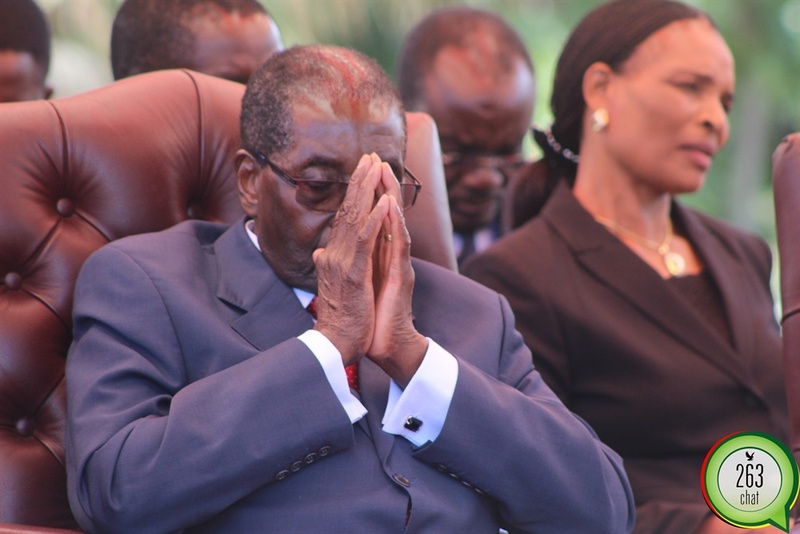 Mugabe is on record telling the African Union (AU) Commission Chairman, Moussa Faki Mahamat that his family was being harassed by the Mnangagwa administration. Chamisa pledged that his new government will not pursue politics of retribution but will adopt fruitful footprints set by the founding fathers of this country given their contribution in liberating this country. “The only difference we have is that we respect Mugabe and his legacy, because of some positive strides he has made, where he made mistakes we do not waste our time, we are going to correct that. “There is no need to institute pillars of hate with Mugabe because he is the past, he is history, he is a founding president of the first Republic, I am the president of the second Republic,” he said. Chamisa sensationally claimed to have received an endorsement message from Mr Mugabe whom he said was clear on the candidate he is voting for come July 30 polls. “Vote has no age, vote has no party, vote has no race or tribe, we are building a national project and I’m very clear when I’m leading a country, I’m leading a country with Mugabe, Mnangagwa, Chiwenga and many others but only as retirees and pensioners,” he said. “Some people no longer understand the love I have, as I extend hands, I do not select the vote, if Mugabe wants to vote for me, the vote is welcome, but in the government it’s going to be a properly new government which is going to effect a fresh start with new politics,” he added. He, however, denied any links with the former first family brushing aside state media reports that fronted Grace Mugabe as his deputy in the new government should he win the elections.